Robert Luff & Co are delighted to offer to market this very well presented and re modernised bungalow situated in a prime Lancing location within a stones throw of the Village centre and local transport links. Benefits include a newly fitted kitchen, new carpets and Seafront near by. 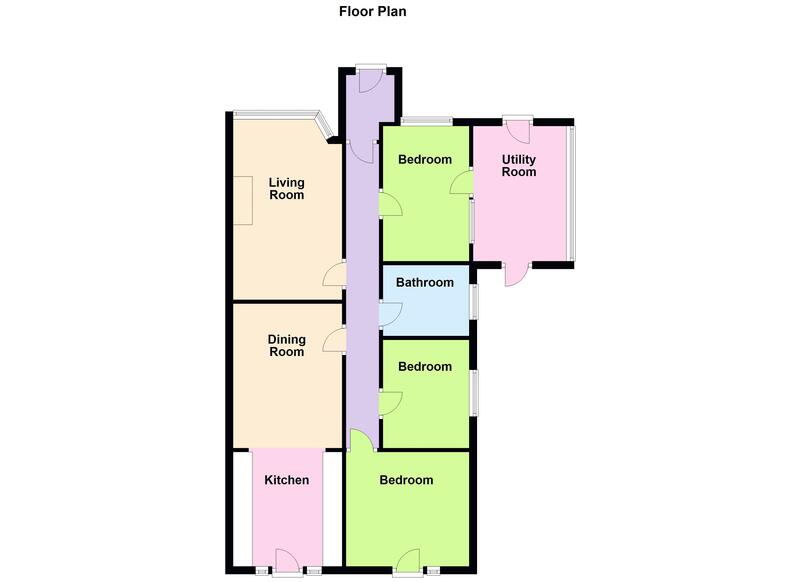 Further features are a utility room, South aspect rear garden and off road parking. Upvc double glazed door into hallway, wood effect flooring. Newly laid carpet, radiator, loft hatch and wall mounted thermostat. Matching range of wall and base units with work surface incorporating a one and a half bowl sink unit with mixer tap and drainer, four ring induction hob with 'Neff' extractor fan over, 'Bosch' double oven, stainless steel splash back, built in wine cooler, integrated fridge/freezer, tile effect flooring, space and plumbing for dishwasher, ample space for dining table and chairs, newly laid carpet in the dining area, radiator, coved ceiling and double glazed door leading out to the rear garden. Feature double glazed bay window to front aspect, radiator, TV point and coved ceiling. Double glazed windows, door to both front and rear garden, space and plumbing for washing machine, work surface incorporating a sink unit with drainer, power points, space for further white goods and tiled effect flooring. Dual aspect room with double glazed window and door, radiator, enclosed meter cupboard and coved ceiling. Double glazed window, radiator and coved ceiling. Matching three piece suite comprising walk in shower enclosure, vanity wash hand basin with mixer tap, low level flush WC, fully tiled, frosted double glazed window and chrome ladder radiator. Mainly laid to lawn with large patio area providing the ideal space to entertain, good size shed, access to utility room. Laid to lawn with pathway leading to the front entrance door and driveway to side providing off road parking for multiple vehicles.